Potential home buyers in Indiana need to explore the help that is offered to them. With funds from Indiana down payment assistance programs, getting into a home can happen in the next few months rather than waiting until you save up enough. 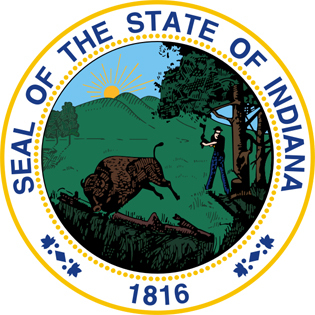 The most common type of program is offered through the government of Indiana, known as IHCDA. To determine eligibility, the number of people in the household and their annual income is taken into consideration. The guidelines for income varies based on the county where the home to purchase is located. Applicants must be a first time homebuyer in most of the counties. There are a few where that stipulation doesn’t apply. These are targeted areas around Indiana that have been identified due to slow economic growth. The goal is to make it as easy as possible for homes in these areas to be purchased in order to boost the overall economy. The homes have to be occupied by the buyer to qualify, not purchased as rental property. This Indiana down payment assistance program can offer up to 4% of either the appraisal of the home or the selling price of the home. The one that is the lowest is the number that will be used to determine that 4%. What is very unique about such Indiana down payment assistance programs is that after 2 years of making payments on the home, the loan can be forgiven. If the owner decides to sell or refinance the home in that 2 year period, the down payment assistance must be repaid in full. All of the information about such Indiana down payment assistance programs can be found online. This includes the IHCDA income guidelines, county information, and lenders that offer such loans. A lender can assist with a pre-qualification process where they examine income, credit, and help determine the dollar amount of loan that you qualify for based on current circumstances. This entry was posted in Indiana and tagged down payment assistance, grants, housing authority, indiana, programs. Bookmark the permalink.